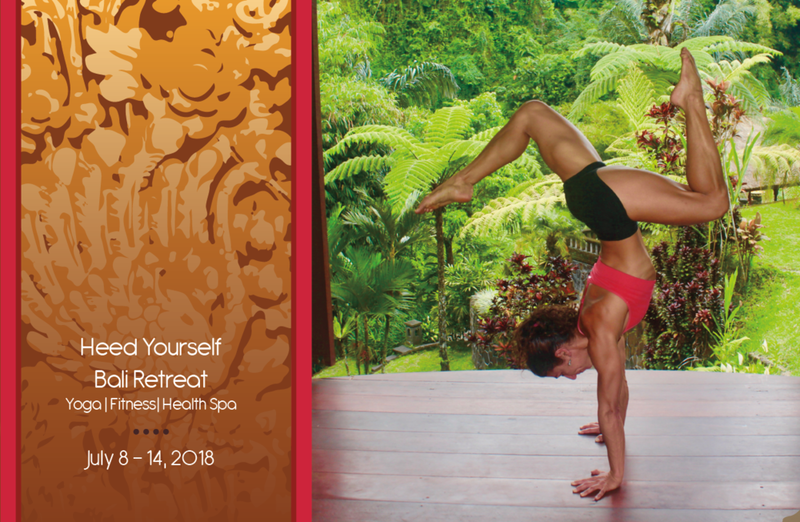 Next Heed Yourself Bali Retreat 2018 - February 13 - 19th is open for Registration! Our next Heed Yourself Bali Retreat 2018 is officially underway! Join us February 13-19, 2018! Traveling allows us a unique opportunity to acquire greater understanding of cultures, humanity, and the world around us. This we already know. The effect of taking one's personal practice outside the routine comfort zone can wildly enhance one's perspective of the world and self. Combine the two for a life changing experience. 30 days until the commencement of the next 2016 Heed Yourself Bali Retreat. Can't wait to lead practice and share laughs and breakthroughs in this space. This is what all the planning and prepping leads to - bliss in waiting! Will you be joining us? This goes out to everyone, but especially to my friend today in need (you know who you are): Believe in the crazy notion that you once rose from the waters to begin walking on two feet. Everything is possible. Keep looking forward and living your dream. What unfolds in between are just the crinkles. The more you walk the smoother the path becomes. Walk on my friends! Create expressions of your own true self, and your soul will be free. Doing what others think you should do, or what you think you should do based on what others do - will never lead to your heart's true content. Be you. Trust yourself. Create your own, don't regurgitate something else or someone else. We are all unique expressions of ourselves. Why deprive the world of what you have to offer by stifling your own authenticity? I love when I see individuals, communities, even societies at large emanating true expressions of self. Everyone has a story. Everyone has reasons. There is no right or wrong way to hold a pose, to conduct life, to make a decision, or to be happy and at peace. There is only a way to do something derived from a place of authentic self. And that comes from within. Go out, be you, create, don't regurgitate, express some incredible that comes only from you. After all, if you're not willing to create expressions of your own true self, who else will?